The BBC Store has opened its door, allowing viewers to instantly own and keep digital copies of BBC programmes such as Doctor Who, Sherlock, Doctor Foster or Poldark alongside archive programmes from the last 60 years. The service, operated by the BBC's commercial arm BBC Worldwide is the latest way of acquiring BBC content following decades of being able to buy BBC shows in physical formats. It is only available to users in the UK, Isle of Man or the Channel Islands, although downloaded shows can be taken abroad to watch later. There are also themed Collections, gathering together programmes from the BBC archive bringing absorbing and enriching stories from the past. Viewers can stream programmes they've bought online instantly when signed into the BBC Store and BBC iPlayer via an internet browser on mobile, tablet, PC or Mac. The Store isn't available on connected TVs for the time being. Purchases can be viewed later without an internet connection or when travelling abroad using the BBC Store Downloader. Apps for mobiles and tablets will be coming soon. To mark the launch, a 25% discount is available on purchases. 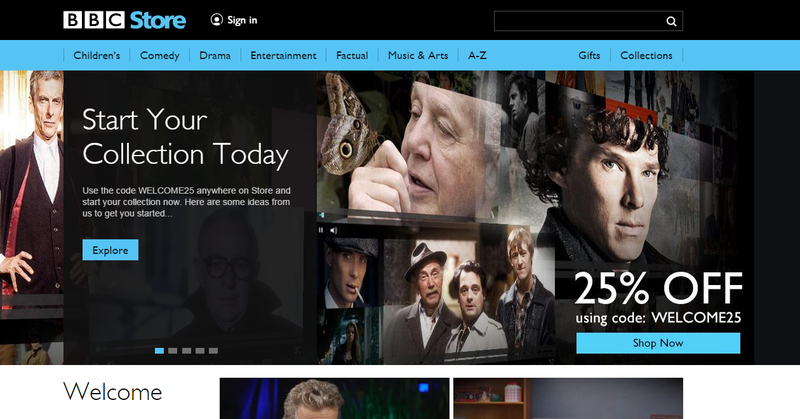 No money from the licence fee was used to create BBC Store. The profits made from the BBC Store are returned to the BBC to help fund future programmes. Critics have complained about having to pay to watch archived content. Most programmes will however be subject to royalty payments and other rights fees, so can't be freely distributed. In essence, the BBC Store is the evolution of buying BBC shows on video cassettes, later DVD and blu-ray. Same shows on BBC Store and iPlayer? Shows on the BBC Store include shows that are currently on the BBC iPlayer for free, however buying a show from the Store enables users to keep a copy beyond the up to 30 days offered by the iPlayer. Dan Taylor-Watt, head of the BBC iPlayer has explained more about how the two services interact with each other in a blog post. I don't understand the rationale behind geoblocking Republic of Ireland users from making purchases. What part of wanting to give the BBC money do they not understand?